How to Raise Soapberry Bugs! There are many reasons you may want to rear your own insect colony. Perhaps you want to display the insect life cycle in the classroom, take better photography indoors, or even preserve an interesting population for science. 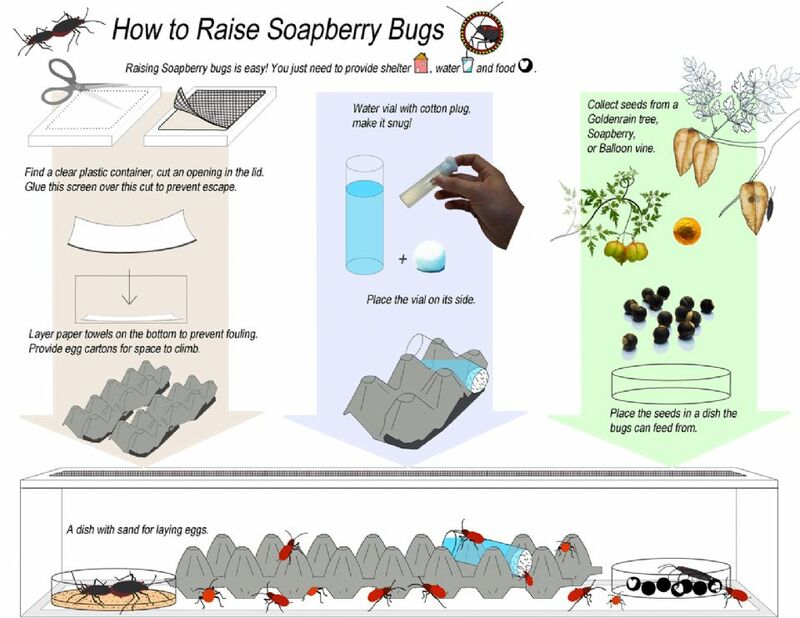 Just follow this 'how to' guide to raise a Soapberry bug colony with ease. Click here to download the printable format!